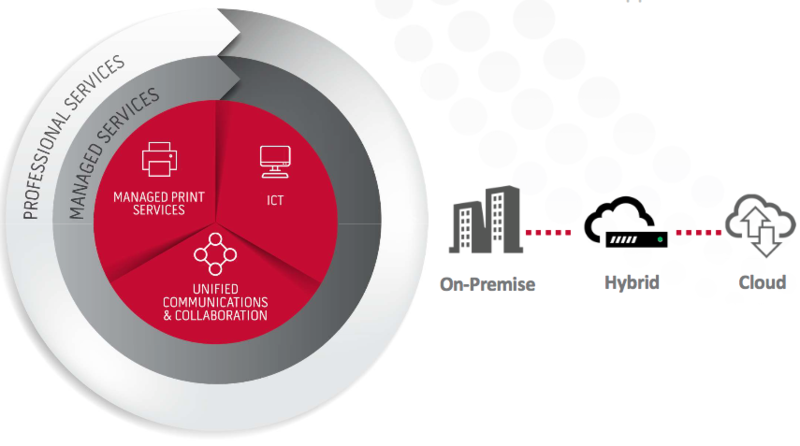 Why is Unified Communications Important? Unified Communications is important for three main reasons. It enables businesses to communicate effectively, to increase productivity and to save money. To do all of those things, you need to simplify and improve routine business processes. Unified Communications (UC) integrates the applications and devices you use every day to stay connected, to make it easier to find people, launch calls and conferences and retrieve messages. For close to 30 years, our team has been working with businesses to integrate all communications tools into one intuitive user interface to make it easier for teams to collaborate and maximise output. Our unique approach to Unified Communications can streamline operations at nearly every level of your business. Streamline administrative processes by switching from multiple vendors and bills to a single provider and one predictable monthly bill. Free the IT department to focus on more strategic initiatives. Empower end-users with only a single interface and one login required to access to all applications (email, IM, VoIP, etc.). Satisfy customers and partners with increased responsiveness and expedited decision-making. Our Unified Communications offering brings together Voice, Video, Instant Messaging, Presence & Conferencing, and Mobility to truly enhance the way people collaborate and access their information to keep them productive at all time, from any device and location. Why Choose Annodata for Unified Communications? Annodata has a truly unrivalled Unified Communications offering. Our vendor agnostic approach puts control in your businesses hands, as we work with your existing estate to shape your unique solution. Our solutions combine best-of-breed components from Avaya, Cisco, Mitel and Microsoft, giving you complete choice and control. Our customers have the flexibility of choosing from on-premise, cloud or hybrid deployments. The financial management of communications has always been a struggle. Tarriffs for different devices and from different suppliers results in spikes and troughs making it impossible to manage. Annodata’s ‘Harmony’ solution ensures you are able to control your costs throughout the year with one supplier enabling you to run a leaner and more predictable business. Harmony brings it all together. The benefits of UCC are well established, but like any other technology, it’s essential to know what to look for in a UCC system prior to implementing it. Here are five essential questions to ask when choosing a business communications vendor to maximise productivity and return on investment. Mitel® MiCloud Business by Annodata is an affordable and feature-rich phone system for small to mid-sized businesses. Fully hosted, maintained and supported by Mitel, you receive great call quality, industry-leading reliability and an easy-to-manage phone system with no upfront costs. Everything is included in one low monthly rate. More and more businesses are looking to grow without incurring additional increases in real estate or human resource. Cloud communications can help businesses achieve these objectives through better collaboration and improved processes. Empower your business to ‘think big, yet act small’ by providing employees with everything they need to connect, communicate and collaborate across blended environments – driving the exchange of thoughts and improving the speed and quality of decisions being made.